The Remodel Cost Estimate Summary Report is a printer-friendly, professional report that summarizes the scope of work and costs associated with a remodeling project. Give a brief description summarizing the remodeling project, project tasks and any major repairs required on the project. What is the remodel cost estimate summary report? 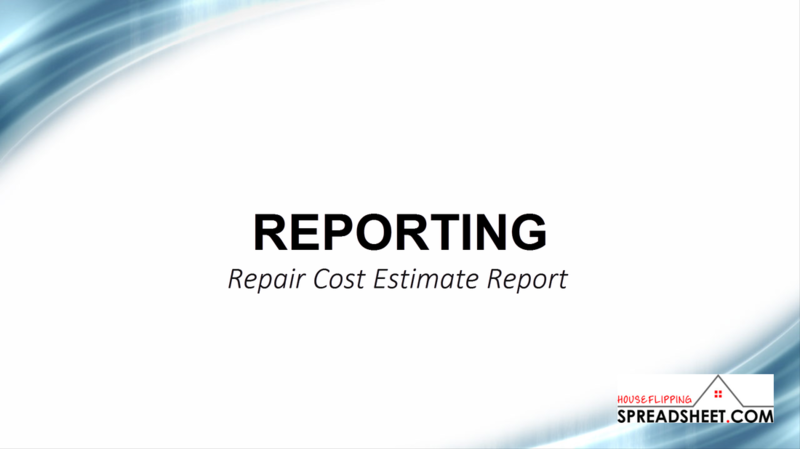 The remodel cost estimate summary report is a printer-friendly report that summarizes the estimated repairs costs for the rehab project. How does the remodel cost estimate detailed report work? 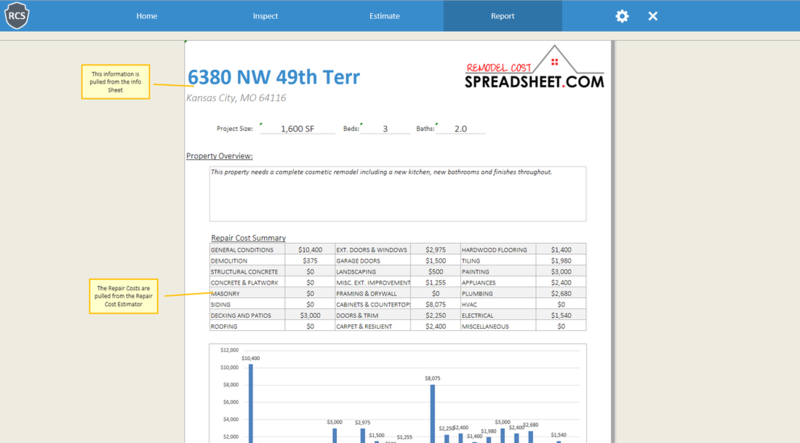 The remodel cost estimate summary report pulls the cost information from the Remodel Cost Estimator.